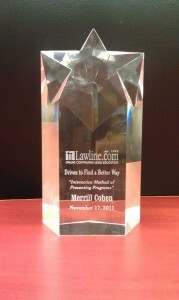 Lawline Award, November 2011 | BLOG : Merrill Cohen & Associates. 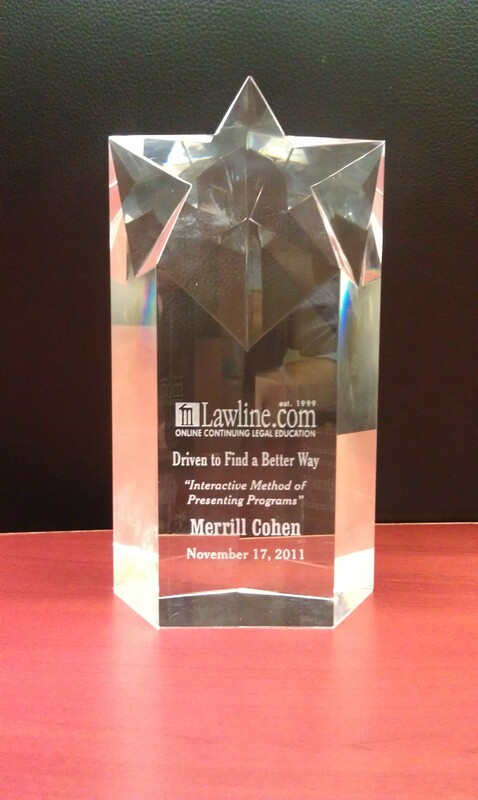 I was pleased to be honoed with the award for “Driven to Find a Better Way” at the Lawline event held in New York City on November 17, 2011. The award was in recognition of the casual, yet informative, style of presenation of my series of lectures on Immigration law to other lawyers. I’m glad that my presentations were helpful to my peers, and look forward to filming more videos on additional immigration topics in the near future.